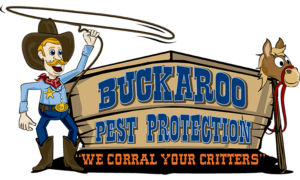 Just like cowboy Gus MacCrae said in the quintessential Western television series Lonesome Dove, “Ain’t nuthin’ like ridin’ a fine horse in new country.” Nuthin’, that is, except for a really good deal on pest control services.” One of the core tenets behind the services we provide at Buckaroo Pest Protection is to always provide our customers with the best, most non-intrusive, experience possible. Part of a good experience is getting a good deal, which is why we have our current coupon offerings listed below. Just print and present upon payment to make the most of these limited time offers. If you don’t have a printer, simply pull the coupon up on your phone and present it to the technician, or mention it on the phone when you set up your appointment. Certain restrictions apply. May not be combined with any other offer. with the signing of a seasonal agreement.